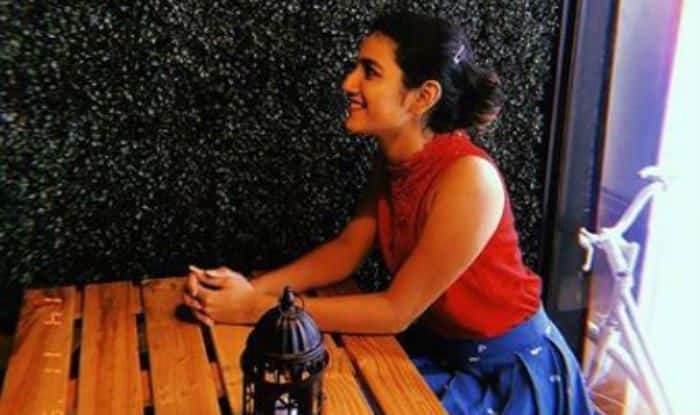 Internet wink queen, Priya Prakash Varrier needs no introduction. She became the national crush after her song Manikya Malaraya Poovi from her debut film Oru Adaar Love went viral. The wink in the video left many awe-struck. Now, she keeps teasing her fans with her pictures that prove that she has now also become a fashionista. She never misses to impress fashion police with her sartorial choices and carries each outfit with utmost grace and elegance. 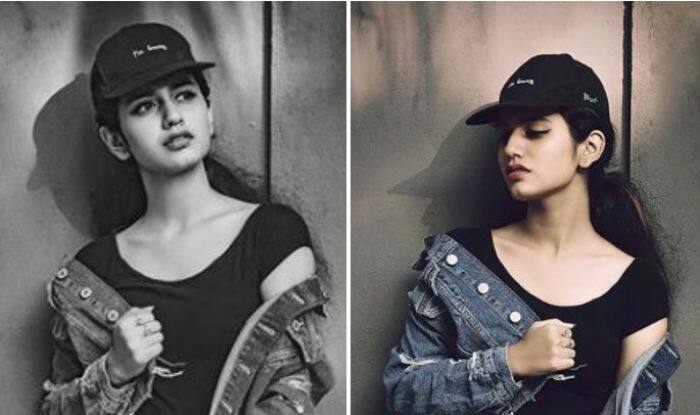 Lately, she took to Instagram to share a couple of her pictures from her latest photoshoot. In the pictures, she looks beautiful wearing a black tee paired with black striped pants and a denim jacket. She has accessorised her looks with white shoes, black cap, subtle makeup, red lipstick and messy hair. Well, she has her pose game absolutely on point and the pictures will definitely make your heart race faster.